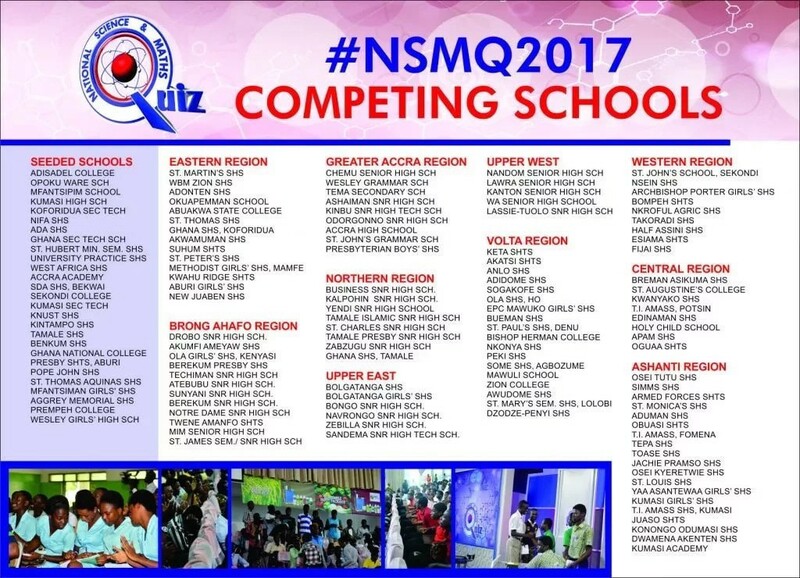 The National Science & Maths Quiz (NSMQ) is a great national institution. Scanning through some of the questions on their Facebook page right now, however, I feel a bit disappointed to see that most of the questions test memory recall rather than insight or analytical rigour. If you ask someone whether copper can be refined by electrolysis, or how ‘hard’ water differs from ‘heavy’ water, you may think you are probing their deeper understanding of Redox or isotopes, but the truth is that it is not an effective enough question for distinguishing between a good medium-term memoriser and a truly effective thinker, not in the sciences and not in many other disciplines either. My lifelong struggle with Ghanaian education stems from unresolved frustrations with the disregard for this important issue. Feats of memory are no longer as impressive as they used to be as the world continues to shift emphasis from knowledge of facts to the essence of facts. This would have been my main impression had I not noticed another fact that challenges my notion of the Quiz being more memory-based than insight-based. That fact being the persistent male dominance, which seems to have actually entrenched over time. The conventional wisdom in the literature on the subject is notionally that women outperform men on memory efficiency, just as men outperform women on spatial and navigational tasks (perhaps why top female formula one drivers are so rare). Should the female students not be sweeping the contest if my assertions about memory bias were true? Actually that can be explained adequately by another bias. Fairly extensive data, from the likes of Pew datasets, show that females excel in the life sciences but not so much in the physical sciences (perhaps why Ghanaian medical schools continue to see such a strong showing by female ‘valedictorians’ as the number of women trainees grows). A cursory survey of the questions asked in the NSMQ does show a much stronger emphasis on the physical sciences for the simple reason of the SHS curriculum being a basic science curriculum. In SHS basic science, biology is usually the only life science oriented discipline out of four. As one progresses, there emerges a profusion of subspecialties that renders this stark imbalance somewhat less stark. More females acquire confidence through an early focus on specialities they enjoy and then branch out into multidisciplinary fields that blur what hitherto had seemed a sharp line between the life and physical sciences. So, yes, NSMQ is fascinating, but equally fascinating is what it tells us about certain aspects of the social and cultural politics of knowledge in this country and beyond.